It's me, Leslie from Once Upon a Time & Happily Ever After. 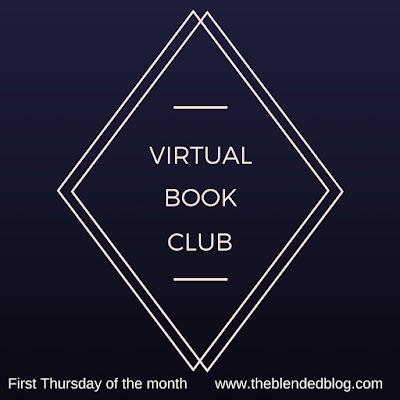 the Blended Blog's resident librarian and certifiable senior citizen. 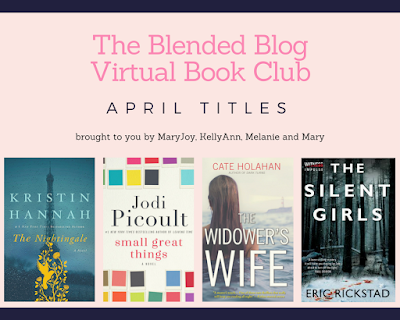 Super excited (and a little nervous) to be the TBB contributor coordinating all things virtual book club for April. 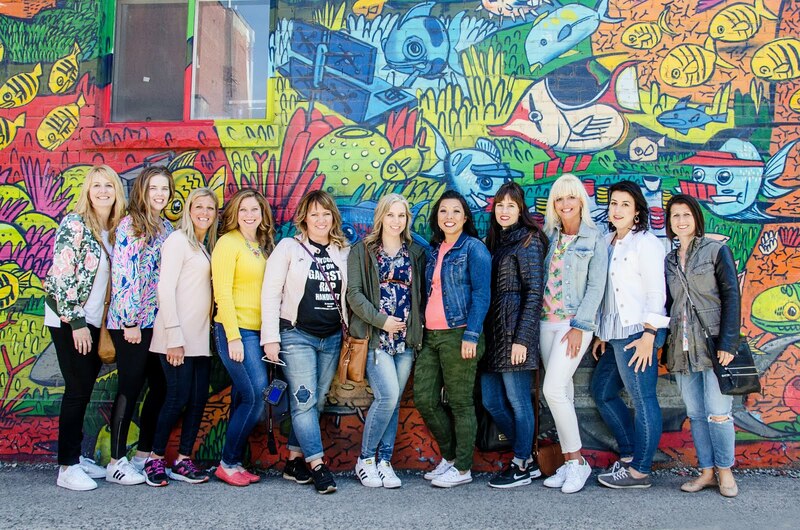 With almost 40 members, the book club continues to grow and flourish. If you haven't joined us, please consider doing so. You can do that by popping over to fill out this form so we can get you all set up. And if you're already reading with us, maybe you could extend an invitation to join to someone you know. We're currently mid-way through March and enjoying this month's four titles. 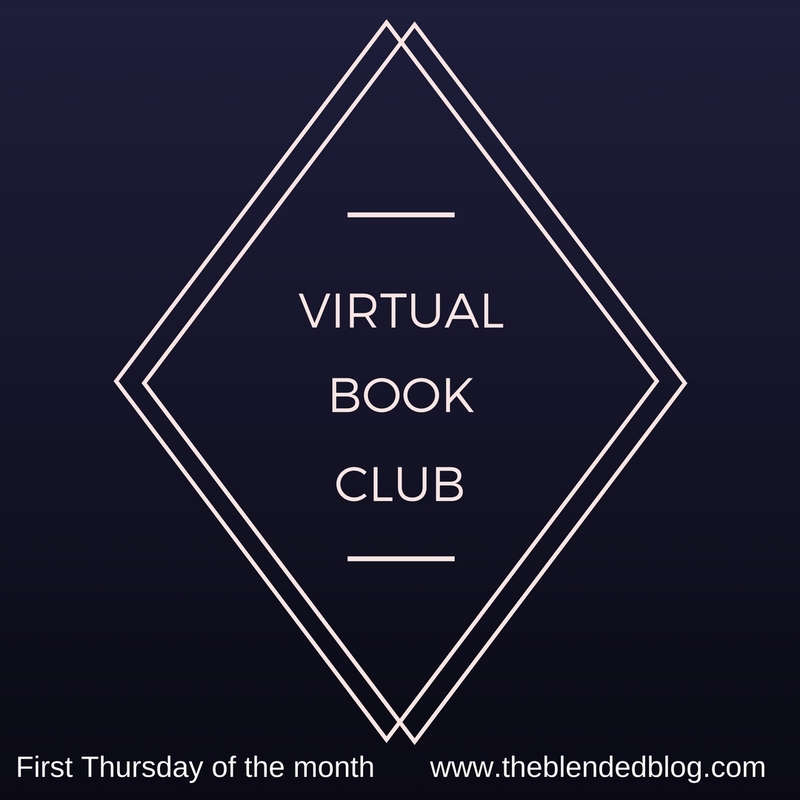 Great thing about TBB's virtual book club (aside from the fact that you can participate from the comfort of your own fill in the blank....pjs, bed or bathtub...) is that you can read at your own speed as few or as many of the books as you like. And be a Chatty Cathy in the discussion threads or a sideline spectator. But one thing's for sure, you've gotta be a member to learn the secret handshake and join the fun. To further whet your whistle for reading, take a look at the titles on the docket for April, picked by four of our club members. One of the perks of coordinating things for the month is knowing ahead of time which books we will be reading before everyone else! I started The Silent Girls by Eric Rickstad yesterday driving home from Albuquerque. Never fear, I kept one eye on the road. Tee hee! What a suspenseful page-turner (even though the pages are in a cloud somewhere)! Because these days I am listening to most of the books I 'read' using Audible. Lets me clean house, iron and yes, even drive while 'reading'. Learn more about The Nightingale by Kristen Hannah, Small Great Things by Jodi Picoult and The Widower's Wife by Cate Holahan on Goodreads. So, whatcha waitin' for? Pick the title that most entices you, get it ordered (Amazon, public library, B&N) or borrowed then get ready to begin the first week of April. See YOU then!